If weight loss has made your New Year’s resolutions list for 2018, chances are that you’re keen to discover the diets set to gain traction this year. 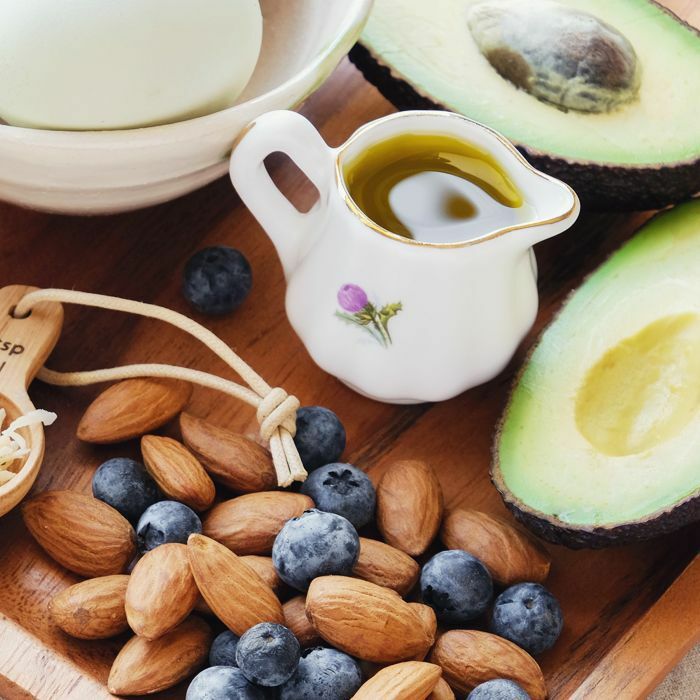 The old and the new are in, with souping and anti-inflammatory foods making healthy eating easy, while more drastic food plans (the ketogenic diet, for one) are garnering buzz for their fat-fighting benefits. Want to know more? Keep scrolling for the diets we’ll all be talking about in 2018. Expect to hear a lot more about the controversial ketogenic (or keto) diet this year. It’s a low-carb plan that puts the focus on good fats and moderate protein, but it requires big changes. By going keto, you’re adjusting the type of fuel your body receives (ketones from fat instead of glucose from carbs), and this can come with side effects, including what’s known as “keto flu.” It’s a very specific, purposeful diet that’s said to hold fast fat-loss benefits, but you need to take it seriously. Read our guide to find out everything you need to know. It was only a matter of time before protein found its way into water. After all, we’ve had protein bars, protein shakes, protein powder and protein supplements. Now protein water is set to make it easier for you to consume the nutrient on the go, with brands such as For Goodness Shakes launching new coconut water–infused flavours. Each bottle is only 86 calories and contains just 0.2g of sugar, and yet it delivers a whopping 20g dose of protein. If you’re in and out of the gym a lot, this is a great alternative to high-sugar energy drinks. The benefits of intermittent fasting (IF) go far beyond mere weight loss. This pattern of eating has been linked to decreased inflammation, better blood sugar balance and increased cognitive function too. One of the most common methods is the 16:8 plan, which consists of 16 hours of fasting and eight hours of eating between noon and 8 p.m. Not only does this plan result in lower levels of insulin (which means you’ll be burning more fat), but the long period of fasting also means you’ll be consuming fewer calories. According to Pinterest, we’ll be swapping juicing for souping this year. Saves for flavourful, nutrient-packed soups are up 306%, and there are plenty of low-calorie options. We’re not complaining, as they’re a) comforting and b) a low-cost work lunch alternative to all those Pret sandwiches we threw our money at in 2017. Win-win. Anti-inflammatory eats will be gaining more recognition for their weight-loss benefits in 2018. Think ginger, broccoli, turmeric, salmon, tomatoes, nuts like walnuts… the list goes on. It’s easy to incorporate these foods into any healthy eating plan, and, in doing so, research suggests that you’ll improve your immune system and increase your metabolism. A happy gut means a happy, well, everything. Scientists are starting to unravel the gut and the bacteria that live within us (we’re only 10% human—let that sink in) and how feeding these colonies that live inside us can lead to a flatter tummy, glowing skin and a happier outlook on life (something we all need as get further into 2017). You can read all about your gut here, as well as the foods and supplements that will benefit your belly. Created for IBS sufferers, researchers in Australia have discovered that FODMAPs (found in tons of foods) can pass undigested into the colon leading to excess gas. The same team discovered that if you don’t have coeliac disease, it’s unlikely that gluten will cause you any problems at all, but if you suffer from IBS, ditch the FODMAPs and you’ll notice the benefits fast. Find out everything you need to know about the FODMAP diet. Thanks to Kim Kardashian West and her dramatic post-baby weight loss in early 2016, the Atkins diet is making a serious comeback. The new Atkins is about factoring in healthy fats alongside all the protein. See how to do the Atkins diet now. If you want a diet that’s all about health (with the side effect of weight loss), then look to the Mediterranean diet. Unlike the vague idea of clean eating, the Mediterranean diet, when followed properly, is all about eating clean but also eating proper portions (so not mainlining a bag of almonds and still expecting to lose weight like we did at the peak of the clean-eating craze). Flavoured water is nothing new, but in 2017, there’s been a resurgence in making your own. Infused water is great if you’re not a big fan of plain H20, but it’s also a handy way to get in a couple of portions of your five-a-day or even factor in some stress-busting adaptogens (you can read all about adaptogens, here). Check out some detox-water recipes here. Apparently Mary Poppins was onto something with her spoonful of sugar, except it should have been honey. Taking honey before bed helps your body fall into full-on fat-burning mode while you sleep. Sounds too good to be true, we know, but you can read all the science around the honey diet here. The “If It Fits Your Macros” hashtag has been used over 6.5 million times on Instagram. It’s not a new way of eating, but if you have tried and failed at diets in the past because you’ve found them too restrictive, then this is for you. By counting your calories and breaking that down into a ratio of fat, carbohydrate and protein (depending on how active you are), you can then pretty much factor in any food to your diet, hence the #IIFYM. I’ve been counting my macros since September, can still eat biscuits at work, factor in one cheat meal a week and I’ve dropped over a dress size without feeling like I’ve denied myself once. If you’d like to give macro counting a try, here’s how to do it. Next up! The easy lifestyle hack that burns 350 calories daily.